Anti-Ottawa sentiment in Alberta has reached new heights with the installation of two billboard advertisements in high-visibility locations. The ads have recently been put on display in Calgary and Edmonton. They ask the question “Should Alberta ditch Canada?” and link to Alberta Fights Back, a website promoting a province-wide referendum on separation. “We are sick and tired,” campaign director Peter Downing told CTV Calgary. Western frustrations have been voiced with increasing volume since the downturn in the oil and gas sector began. In the eyes of many Albertans, the federal government has not been doing enough to help prop up one of the country’s largest industries. Another question in the poll asked about the likelihood of Alberta seceding from Canada. Asked about the likelihood of Alberta separation, about 30 per cent of people in most provinces considered it to be a possibility, with 70 per cent saying it was “highly unlikely” at best. In Alberta, the pollsters recorded a 50-50 split. 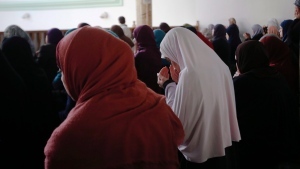 Jason Kenney, who leads the provincial opposition United Conservative Party, warned last September that while he personally did not favour separatism, it would not surprise him if a “significant and growing minority of Albertans” was interested in the idea. That sentiment is what Downing is counting on as he attempts to make separation a legitimate political idea in the province. He says the province is being ripped off when it comes to federal equalization payments. “We are getting robbed blind on our taxes to send our money to Eastern Canada,” he said. Ted Morton, a former provincial cabinet minister who called on the Alberta government to replace the RCMP and Canada Pension Plan with made-in-Alberta alternatives in the early 2000s, told CTV Calgary on Wednesday that he considers negotiation a better solution than separation for the Alberta-Ottawa relationship. 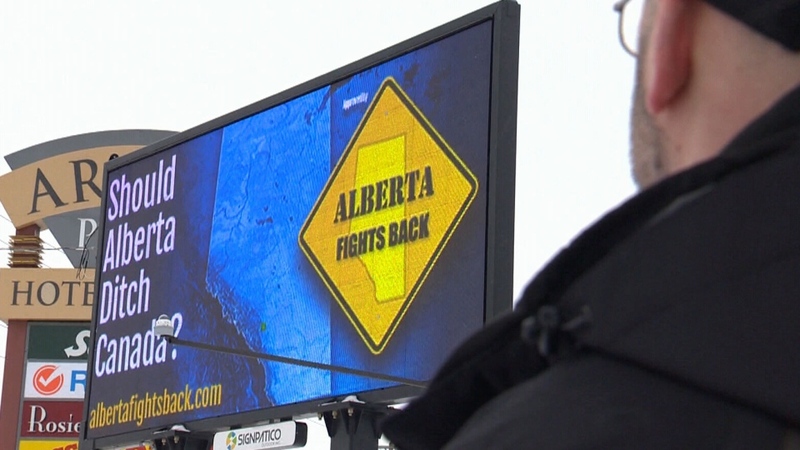 Alberta Fights Back is a registered third-party advertiser for the upcoming Alberta election. Downing told CTV Calgary that he has received hundreds of dollars in donations from individuals and small businesses. The organization’s latest financial disclosure to Elections Alberta shows that it had received donations from two individuals as of Feb. 14, with the majority of the money coming from Downing himself. Peter Downing of Alberta Fights Back looks at one of the billboard advertisements the campaign is running in promotion of the idea of Alberta separatism.